The Capitol Arts Center has entered the next chapter in its long history of providing a place for south central Kentucky residents to enjoy the arts. 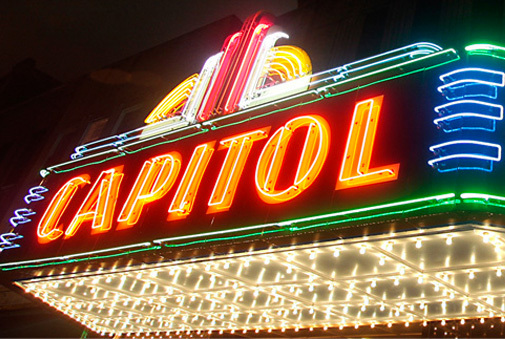 Listed in the National Register as a contributing site in the Downtown Bowling Green Commercial District the Capitol is owned by Warren County, and now operates under the management of the Southern Kentucky Performing Arts Center. The Capitol hosts touring performances, concerts, weddings, receptions, and a variety of community events. For information on renting the facility for your next event call 270-904-5017. Complimentary Parking is provided by John and Carolyn Ridley during evening events at the Capitol Arts Center. The parking lot is located behind The Pushins Building and the Capitol Arts Center building and can be accessed off of College Street. There are 59 spaces provided and limited to a first come basis.